Cross-border Shipping: Although securing orders from international markets can be a boon especially to eCommerce startups, logistics requirements for such shipments often involve painstaking effort on the part of sellers, making International shipping a very tiresome undertaking. 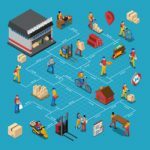 Businesses shipping their products manually have to contend with computing shipping costs, research and taxes for individual countries where their shipments are delivered. The slightest error in such calculations could result in monetary losses for these companies. 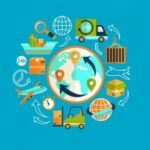 Tracking code mistakes: Clients are assured that their shipments would get to their proper destinations on time using tracking codes. However, order fulfillment services can receive complaints if they provide their customers with erroneous tracking codes. 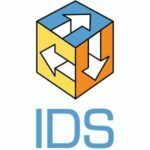 Thus, fulfillment services should ensure that all their codes are tested before handing them to customers. Unavailability of stocks: Listing a product as available on an eCommerce company’s website when the item is really out of stock also poses problems for sellers. Customers who order such products could wind up frustrated even if the company refunds payment for the order. Apart from this, the seller loses the sale, which counts as revenue loss. Clients are likewise bound to distrust websites of businesses who apparently do not have any idea what products they have in stock. These are but some of the common errors that businesses encounter. These mistakes have the potential of stunting an eCommerce company’s revenue and subsequent growth if not addressed properly. 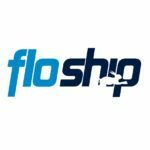 In order to deal with those you should consider employing a reliable order fulfillment service such as Ships-a-Lot that we’re going to review in this article. Ships-a-Lot is an order fulfillment service firm specifically targeted at eCommerce companies. The service essentially reduces shipping and fulfillment costs for small eCommerce businesses. Online retailers have seen unprecedented growth in recent years, with its total revenues worldwide are predicted to further increase to $4.88 trillion in 2021. Despite this growth, the sector continues to struggle with their shipping requirements. 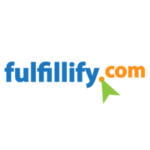 Current fulfillment services offer limited flexibility that growing eCommerce firms need. This is an area where Ship-a-Lot excels, by which it has consistently attracted and retained many of its customers. In our Ships-a-Lot reviews we’ll take a detailed look at the pricing, storage and order processing offered by their popular order fulfillment services. The service found its niche by focusing on growing eCommerce businesses who are bent on establishing their brands by increasing sales. Ships-a-Lot does this by fulfilling these businesses’ need for high level customer service, which has been helping its clients stay relevant to their customers. Another factor responsible for the service coming into being is when the founders recognized fulfilment services’ need for more transparent pricing. They also realized fulfillment centers’ need to adopt new technologies and replace outdated practices to improve their services. The founders wanted to create a solution that is anchored on the platform Shopify, that will enable it to ship items in real time. After developing the solution, the owners thought that the platform could be of use to other Shopify stores, leading to the creation of Ships-a-Lot. According to our Ships-a-Lot reviews the service guarantees its customers 24 hours or less of lead shipping time, 24/7, a feat that is largely accomplished through the use of data mining to gain operational insights. 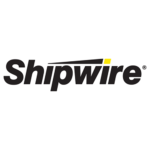 The service is likewise continuously seeking to improve its logistical capabilities by improving its machine learning structures used in the classification of shipments and scheduling. The company is so confident of its delivery speed guarantee that it has been offering to pay customers $20 for delayed deliveries. The service’s technology platform is among the best there is, ensuring a 99.98% accuracy rate. All of Ship-a-Lot’s transactions are barcoded, with its staff always armed with a scanner or a tablet computer. Daily inventory counts are a common practice, using barcode scanners, with adjustments constantly logged. These processes guarantee the accuracy of clients’ orders. The service readily integrates with popular online platforms including Shopify/Plus, Walmart, Amazon and BigCommerce. These integrations are easy to accomplish as they only take a few clicks. The service has at the same time been developing custom solutions for individual clients to suit their business needs. A key part of its integration capability is Ships-a-Lot’s extensive experience in assisting organizations in their crowdfunding campaigns while in transition to becoming eCommerce companies. Once integration is complete, users can access the service at anytime. Automatically generated reports will notify users of critical issues regarding client orders. Updates are also constantly sent to customers through Slack, email, and Facebook Messenger. Shops-a-Lot reviews also show that the service has connections with some of the most popular carriers in the United States, which includes USPS, Endicia, FedEx and DHL. Ships-a-Lot offers a range of benefits to virtually all eCommerce companies. These include transparent pricing, shipping cost reduction and fast, worry-free shipping, storage and delivery services. The pricing model of the service is relatively simple and easy for customers to understand. It does not entail hidden charges. Ships-a-Lot charges clients a mere $35 a month, which gives client access to unlimited warehouse space. The service truly proves itself an advocate of transparent pricing, which is most beneficial to eCommerce startups. Ships-a-Lot is likewise helpful in reducing eCommerce firms’ shipping costs. Clients need only place their orders through the service’s interface and Ships-a-Lot will do the rest. It automatically handles all aspects of logistics, from storage, packing to delivery. In the same manner, customers should not worry about complications arising from shipping, customs and taxation. With all these services at their fingertips, service clients can better focus on other business matters such as marketing and sales, improving their chances of growth. Using the service is indeed like having your own warehouse as the company puts it. The first noticeable thing about Ships-a-Lot is how easy it is for growing eCommerce businesses to avail of the service. Simply logging onto the company’s website and providing information is enough for the service to give prospective clients pricing and details of on-boarding. Perhaps the most important feature of the service is its speedy delivery of its customers’ products. Its promise of a 24-hour lead time is backed by a guarantee to pay unsatisfied clients $20 for delayed shipments. This quick delivery feature is available 24/7. The service’s fulfillment centers are one of the most advanced in the business. Inventory accuracy has been pegged at 99.98%. This is maintained by constant monitoring with the use of barcodes, scanners and tablet computers. The practice helps assure clients that their orders are not only accurate but that their products are all in safe hands. 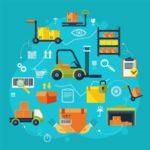 Ships-a-Lot has also been toying with the potential use of robots in its fulfillment centers, intelligent warehouses at its finest indeed. Ships-a-Lot’s customer support program is available to customers 24/7. Support could be accessed through celfones, email and Slak, with personnel response to all client queries guaranteed to come within an hour. An additional feature of the service is that it can tailor its picking, packing, and shipping process both to clients and customer’s needs. Ship-a-Lot’s team also engages clients using social media. 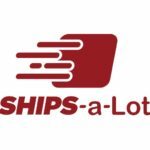 Ships-a-Lot also offers website reviews to those who want it. The service ensures proper calibration of business websites’ analytic tools. In the same manner, it takes an in depth look at the efficacy and performance of installed apps. The service also seeks to spot bugs in the website, while getting rid of bad code to cut bounce rate and optimize loading. This service, needless to say, adds value to Ships-a-Lot’s primary offers. What makes Ships-a-Lot a cut above the rest is that unlike conventional storage and fulfillment services that charge on a per pallet basis, the platform offers its services for a flat rate of $35 per month regardless of stock quantity. This is fulfillment pricing at its lowest. What’s even better is that the service offers customers unlimited storage space for their goods. Product shipments are also not charged. This pricing scheme is highly suitable for eCommerce sellers who engage in high-volume transactions. Ships-a-Lot promises 24-hour turnaround for client shipping. The service offers easy setup for first time users. It seamlessly integrates online platforms including Shopify/Plus, Walmart, Amazon and BigCommerce. Ships-a-Lot offers unlimited warehouse space, providing for high-volume deliveries. The service comes with 24/7 customer support. It offers transparent pricing at a flat rate of $35 regardless of product volume. Ships-a-Lot’s services can be tailored in accordance with eCommerce sellers’ needs. Ships-a-Lot is really not your average storage and fulfillment service. Its focus on growing eCommerce sellers has not only contributed to its growth but also to that of its client. The service’s focus on the use of new technology is bound to lead to more improvements to its service. Clearly, small eCommerce businesses should try Ships-a-Lot.